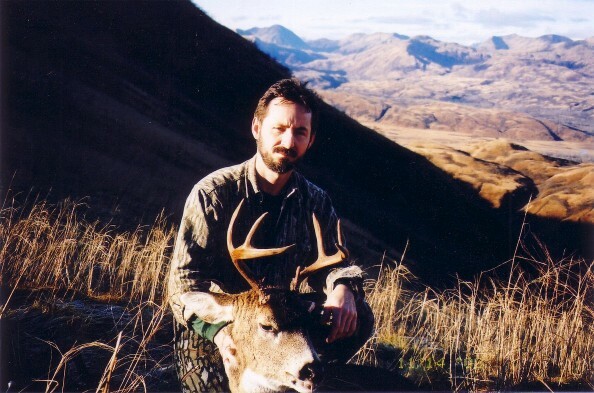 can reduce the threat of Brown Bear encounters and increase your chances Trophy Deer success. 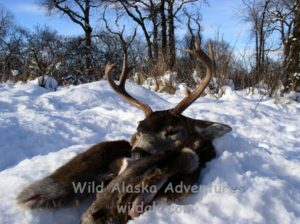 If you are interested in great hunting a nice Black Tail deer taken this fall for Sitka Black tail Deer or waterfowl and hate tent camps, this is the choice for you. 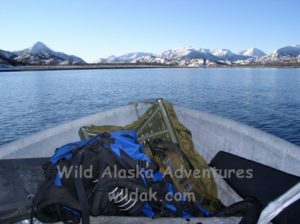 Anyone who has camped in a tent on Kodiak Island in the late Fall knows that it can turn into a survival situation very quickly. 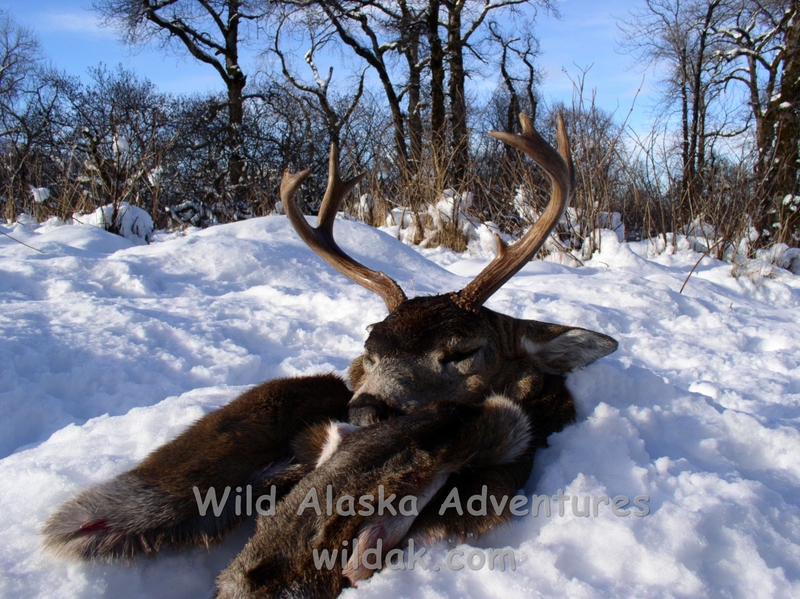 Dangerous weather and Brown bears with bad attitudes can turn any hunt into a nightmare. Its just not as fun when you spend all your time just trying to survive! A warm, dry bed and secure storage for meat makes all the difference in the world for your Kodiak experience. 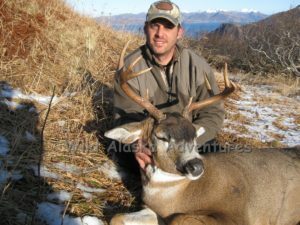 The hunting is excellent in this area with a tendency towards heavy horns and finding Black tail Deer and Brown Bear tracks on the beach is common. 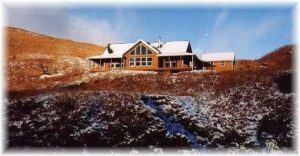 This new Lodge is built on a small bluff overlooking the bay and has a beautiful view of some of Alaska's most scenic wilderness. At the base of the hill you will find a salmon stream full with fish and wildfowl drawing in Bears. The lodge is equipped with six spacious bedrooms. The "Great Room" has a large dining area and an expansive living room with a cozy wood stove and vaulted ceiling. Home-style breakfasts and dinners will be prepared each day. This is a full service Lodge including freezer space and meat processing on site. Meat processing, vacuum packing, freezing and boxing for transport are all included in your hunt price. 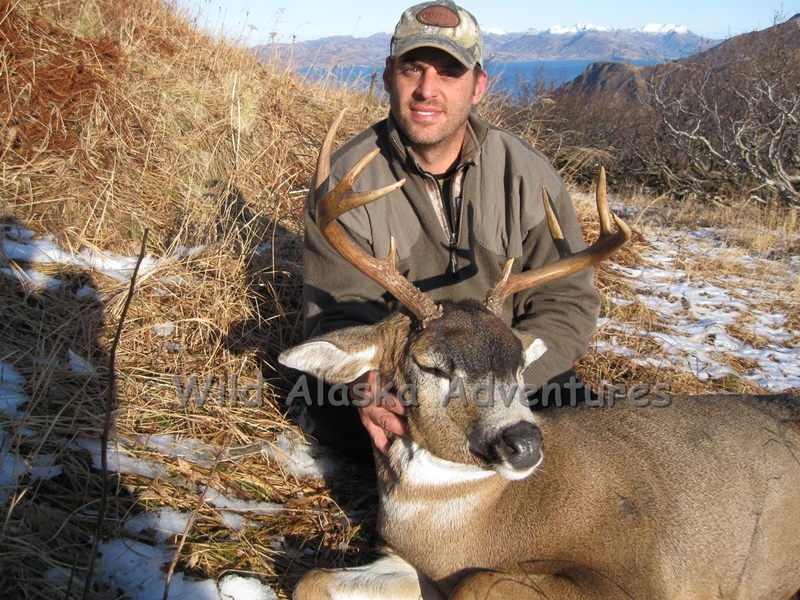 All food and lodging is included in your guided hunt. You bring your personal gear and we take care of everything else. Field dressing of animals and cape, Four wheeler transport of gear and meat to and from the beach, communication for air taxi pickup and more. This allows you to devote your time to doing what you came here for- HUNTING. You should bring all personal hunting gear and supplies needed for the hunt including all required license and tags. A recommended gear list is available. Waterfowl hunting is literally a stones throw away from the front door with Mallards,Widgen, Golden Eye, Eider Ducks and more. Sport fishing by boat is available for an additional fee. If you would like to make a reservation for this camp it is first come, first served and a 50% deposit is required to book and hold dates.